Is a medium size village with around 300 dwellings located about 3 miles to the south east of Manningtree. The northern end of the village overlooks the Stour estuary and there is access to a beach at the coastline. 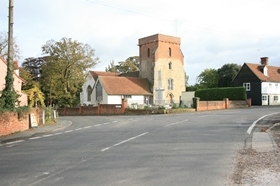 The village has its own primary school, village stores/ sub post office, public houses and in the Conservation area around the medieval parish chuch of St Lawrence there is a number of period properties. There is also a village hall and recreation ground at the northern end of the village. The village lies to the north of the A120 and if travelling from the village along the coastal roads to Mistley or Wrabness there is outstanding views afforded over rolling farmland and The River Stour to the Suffolk coastline beyond.